We love the trend of Paper cutting it's strangely relaxing spending a cosy evening in creating beautiful designs from paper and they also make great lasting decorations. 1. 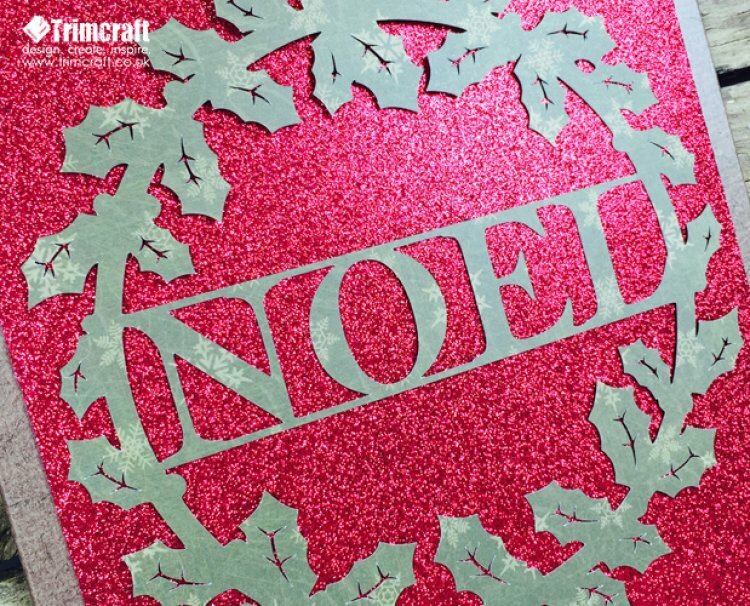 Print off your Noel wreath template on ordinary copier paper and overlay the design on top of your chosen paper with the selected print facing up. Top Tip: We used washi tape to hold our designs in place while we cut. 2. On a cutting mat cut the design out following the black lines, we find it easier to start from the centre and work our way out. Top Tip: use careful shortcuts to cut out the template for a neater finish, spin your cutting mat around as you cut rather than cutting at awkward angles. 3. Alternatively you can crop down the template image and upload it to your Cricut design space as a cutting template, then sit back and let the machine cut the template out for you.